1. Ethiopian Airlines is Africa's largest airline. African airliners are usually facing a tough competition, even major carriers such as South African Airways, Kenya Airways or Egyptair have been unprofitable for years. Without state-funding most of those carriers would have been wiped off the map. The major Middle Eastern carriers such as Qatar Airways, Emirates or Etihad are operating a vast network to all major cities in Africa too much lower prices. Ethiopian Airlines isn't only the most successful and profitable African airline but also the largest in terms of fleet size and destinations served. 2. 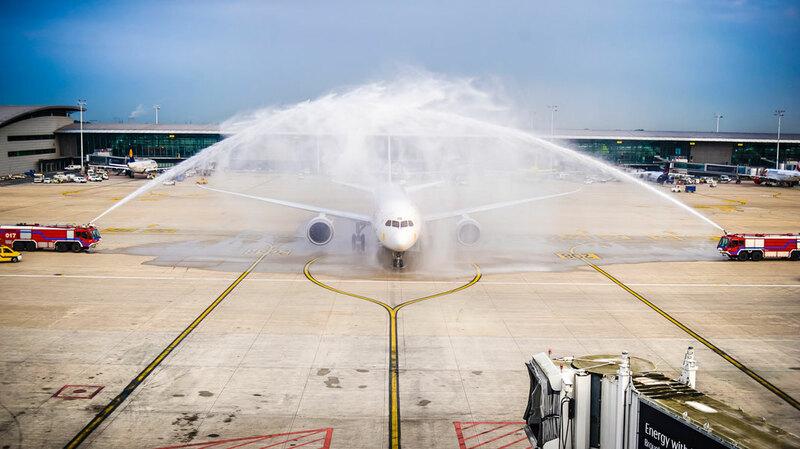 First 787 Dreamliner Operator in Africa. 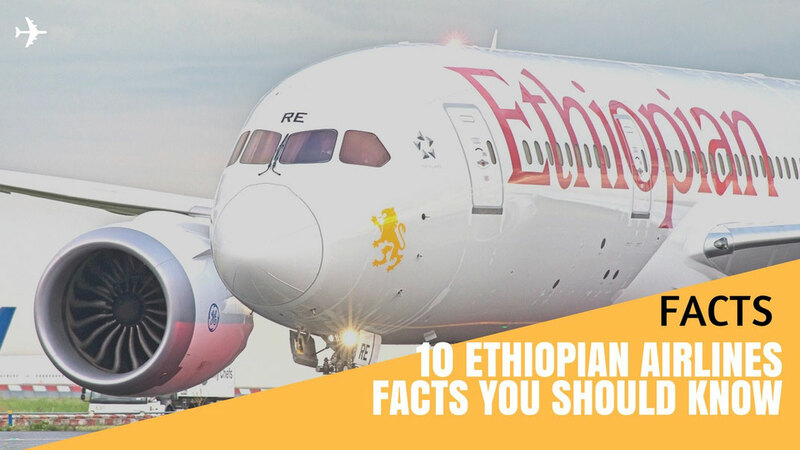 Ethiopian Airlines wasn't only the first Boeing 787 Dreamliner operator in Africa but also has the largest Dreamliner fleet on the dark continent with 19 aircrafts being operated from and to Addis Ababa. The airline also operates one of the youngest and most modern fleet in the world with an average age of just 5 years. Apart from the Dreamliner, the Ethiopian flag carrier also operates the new generation Airbus A350 as well as the Boeing 777. 3. The Airline was founded in 1945. The airline was founded in December 1945 by the Ethiopian Government but managed by the American airline TWA for many years. The first ever flight took off on 8 April 1946 from Addis Ababa to Cairo in Egypt with a stop-over in Asmara, the capital of Eritrea. The flight was operated by a Douglas C-47 Skytrain, one of the most reliable aircrafts ever build. The DC-47 was built over 10,000 times and is still in service in Colombia, Greece, El Salvador and South Africa. 4. The first African Airline to fly to China. Part of Ethiopian Airlines big success is the strategic network between China and Ethiopia, which was launched in 1973 with the airlines first flight to Shanghai. The geocentric location advantage of the hub in Addis Ababa makes it the shortest route for Chinese Business travellers to Ethiopia from where you continue to fly to 52 additional cities in Africa. It also offers the fastest connection between Mainland China and South America. Currently Ethiopian Airlines operates flights to Beijing, Shanghai, Chengdu, Hangzhou and Guangzhou. 5. Skytrax best airline in Africa. In 2017 Ethiopian Airlines was awarded as "Best Airline in Africa" by Skytrax for the first time. A title South African Airways was subscribed to for 14 consecutive years. The Addis Ababa based carried also over took the South African counterpart in terms of fleet size, passenger carried and in revenue, turning it into the best African airline. Air Mauritius was voted 3rd, followed by Air Seychelles, Kenya Airways and Royal Air Maroc. 6. The First Jet took off in 1963. Until January 1963, Ethiopian Airlines was only operating propeller driven airplanes. 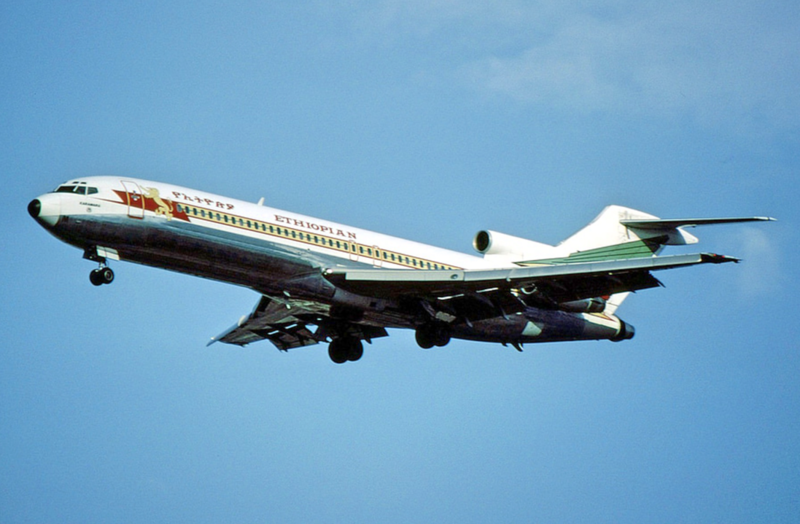 The African airline received its first Jet's in December 1962 directly from Boeing. The two 720B were named Blue Nile and White Nile and took off on 15 January 1963 from Addis Ababa en route Nairobi, the capital of Kenya. Later the Boeing's were deployed on routes to Rome, Frankfurt or Madrid. In 1982, Ethiopian was also the first African carrier to place an order for the Boeing 767. On 1st of June 1984, the first Boeing 767 was delivered and also set a new distance record for a twin jet, flying 12,100 km non-stop from Washington, D.C. to Addis Ababa. 7. The Third African Airline to join an Alliance. 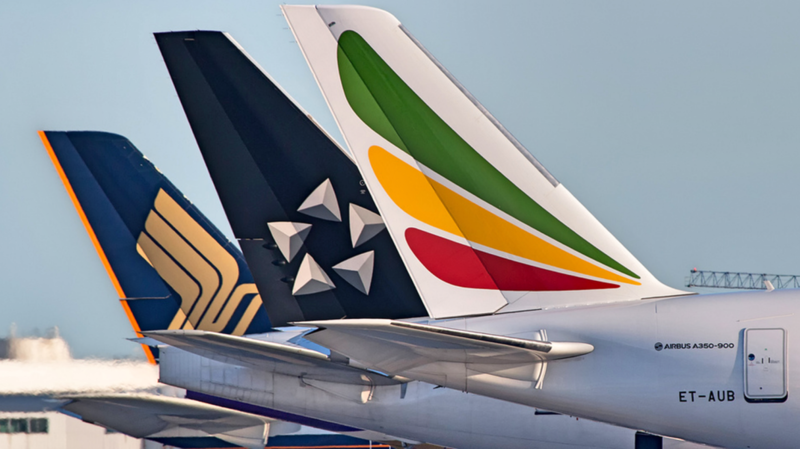 In December 2011 Ethiopian Airlines joined Star Alliance as a full member. It was only the third African airline to ever join an alliance. Also EgyptAir and South African Airways are part of the worlds largest airline team. The only other Africa-based airline to be part of an alliance is Kenya Airways. The carrier is part of the SkyTeam, which also includes China Southern Airlines, Garuda Indonesia or the Russian giant, Aeroflot. 8. The Only African Carrier to operate an Airbus A350. Ethiopian Airlines took delivery of its first of 14 Airbus A350's on 28 June 2016, making it Africa’s first operator of the type. It is also the Addis Ababa-based carrier’s first ever Airbus in its 70-year long history. The 350 is the worlds latest wide-body airplane and also the most advanced airplane in the world. Ethiopian is operating the Airbus between it's hub in Addis Ababa and Beijing, as well as to Shanghai in China. Other destinations are Mumbai, Accra, Frankfurt, London and Johannesburg. Take a Google Street view tour of the Airbus A350 here. 9. Ethiopian Airlines serves 118 cities. Africa's best airline serves every continent, excluding Australia. In total 118 airports are being served from Bole International Airport. This includes 54 destinations in Africa, 5 in North- and South America, 14 within Europe and 29 in Asia and the Middle East. This means you can fly from Beijing to Sao Paulo in less than 24 hours, making it the shortest route between both continents at the moment. Also 16 domestic destinations are part of the airlines network. 10. A Fleet of 94 Airplanes and 58 more to join. 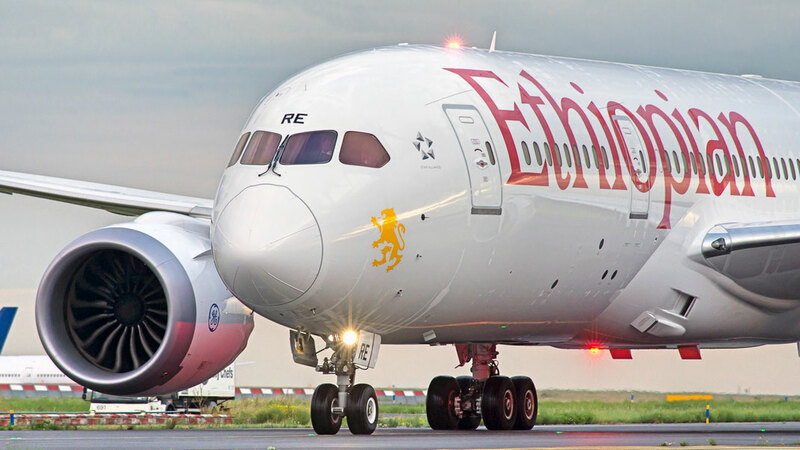 Ethiopian Airlines has the largest fleet in Africa with 94 airplanes and 58 more being ordered, expecting to join the fleet within the next few years. 88 of 94 planes are from Boeing and only 6 manufactured by Airbus. The airline also doesn't offer a first class. A Business Class called 'Cloud Nine' and a standard Economy Class are the only bookable options on an Ethiopian Airlines flight.